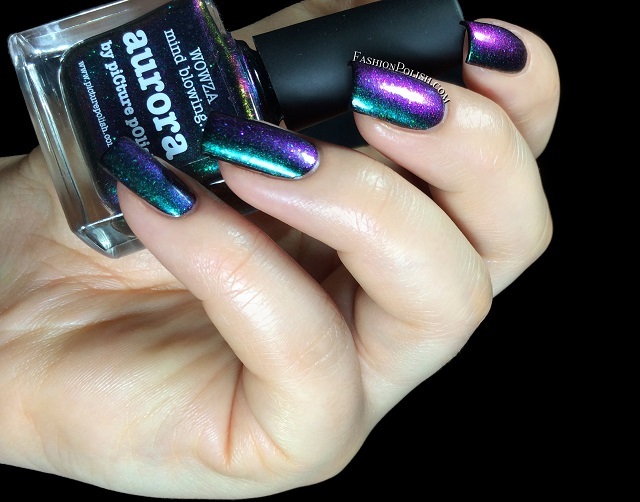 Fashion Polish: piCture pOlish Aurora review! Hi guys! I'm super excited today to show the latest piCture pOlish release! A lot of brands have been on a duo/multi chrome kick lately but with the precursors in the matter, Ozotic, being discontinued I must confess that I was really anticipating what the girls had up their sleeve for their "sister" brand PP! 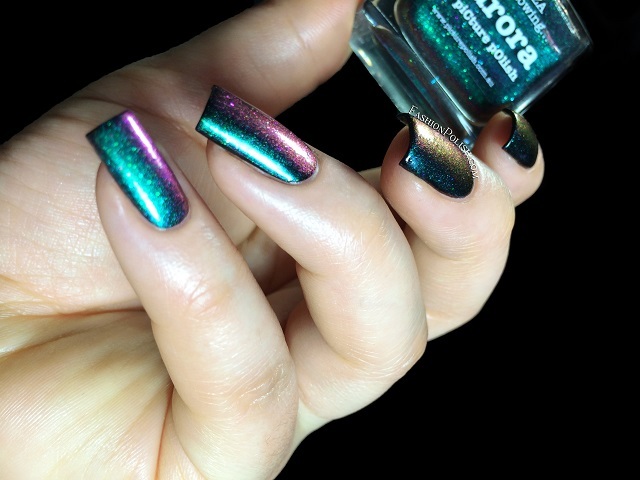 Aurora is a green-turquoise-blue-purple-pink-gold-green chameleon shimmer encrusted with (camera shy) matching color shifting glitters, very much like the ones in Ozotic Elytra 528. Intense and absolutely breathtaking! Application was easy as a breeze, I used 1 coat over black in all of my swatches. I don't think I could express how much I LOVE this polish. The multichrome base is drop dead gorgeous but the extra glitters, although I failed miserably at catching them, add a whole new dimension. Unique and a must have in my book. 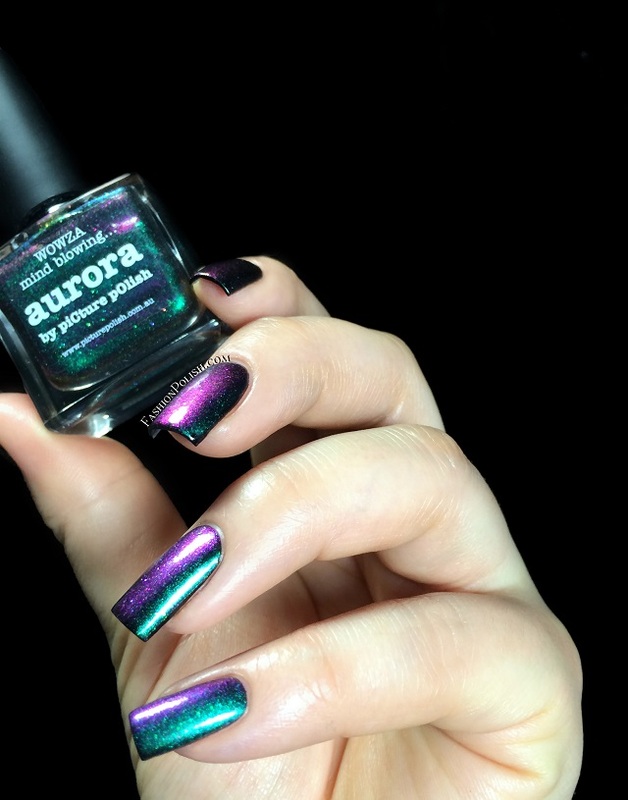 Aurora is very limited edition and is scheduled for release on Thursday 20th February 2014 9:00am (Australian Queensland time) directly on piCturepOlish.com.au and shortly after through the international network. Only 800 bottles will be available globally so a 1 bottle per order/customer rule will apply. *edit* another 1000 bottles have been secured so more stock will be added after the official launch!!! Color4Nails Valentine's Day exclusive duo : Lacquester Currant-ly Available & Tonic Polish Be My Violet-tine!